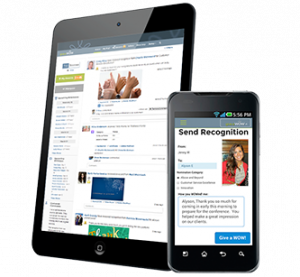 Employee recognition apps and employee reward software are tools that improve employee performance. They democratize employee feedback by letting staff give praise to co-workers. Employers can then recognize those contributions in ways that motivate their teams. We looked at many to identify the best employee recognition software based on affordable prices and robust features. 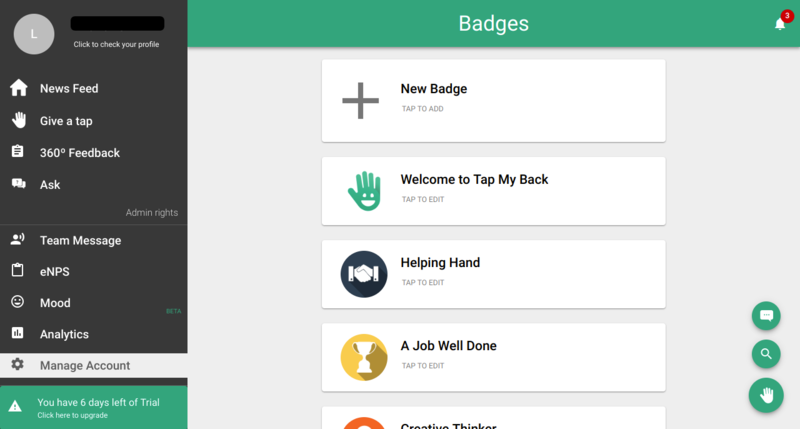 tapmyback (Best Overall) for businesses that want peer recognition, employee feedback, gamification, and reporting. Motivosity Organizations that want to give employees control of monetary rewards and provide a team org chart. 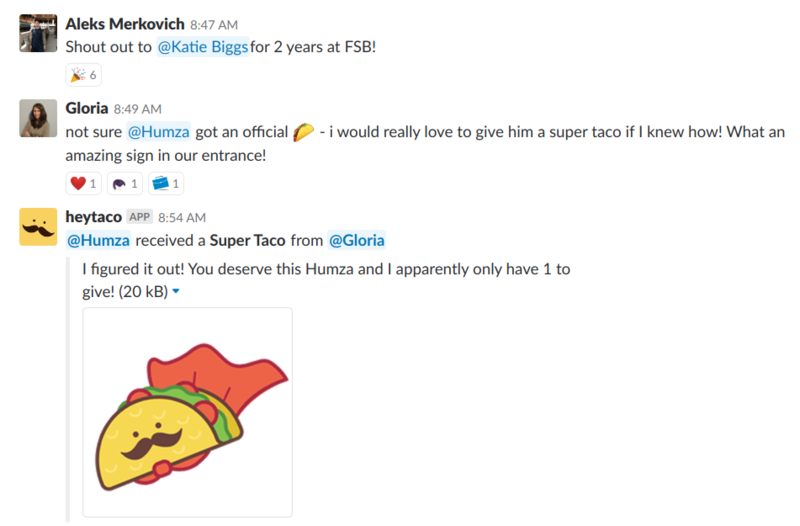 HeyTaco Businesses that use Slack for team collaboration and that have a limited rewards budget. Bonusly Businesses that want to award prizes without paying upcharges on gift cards and rewards. Kudos Companies looking to improve and measure employee engagement efforts through surveys and robust analytics. Give a WOW Business with a global workforce—for peer and customer feedback with a built-in approval process. Employee recognition software needs to be easy for team members to use. We looked for apps that could integrate with existing systems, like Slack. We also wanted software with mobile apps so that employees could give and receive praise real-time. 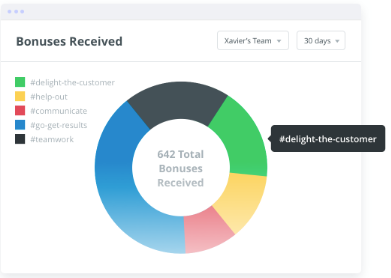 And, of course, we wanted enough administrative features that you, as the employer, could see at a glance how employees are doing, allowing you to offer rewards to top performers. Our research finds that the best tool for small business to promote that kind of recognition is tapmyback because of its ease of use, low price, and fun user experience. We recommend tapmyback as the best overall recognition and reward app for any small business because it offers all the features important in an employee recognition app at a very affordable price. It’s best overall for small business peer recognition, Slack integration, gamification and reporting—all at only a few dollars per month per employee, which is less than most of the other tools we evaluated. For that, you get real-time feedback, custom badges, and custom branding for your business. 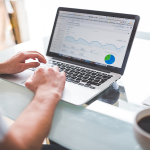 You’ll also have free setup, analytics and exportable data so that you can upload feedback into other systems such as your HR, payroll or performance management software. If you upgrade to a still very affordable package, you’ll even get 360-degree feedback and employee self-reviews, saving you from having to purchase a separate performance management system. The pricing for tapmyback is super-affordable at only $2.00 to $2.90/employee per month. That makes it less than most other employee recognition software tools that cost between $3 and $12/month and up. In addition, tapmyback provides a free seven-day trial that doesn’t require a credit card. Further, no long-term contracts are required, although discounts are available if you choose to sign up for a long-term contract. tapmyback offers an enterprise tier called Empower for businesses with 300 or more employees. It adds a dedicated account manager, custom reports, priority support and a 99 percent guaranteed uptime SLA. Otherwise, the Empower tier, at only $2.90/employee per month, includes all the key features and is the one we recommend for small businesses that want to improve teamwork and engagement. As shown in the table above, tapmyback provides basic recognition and feedback. 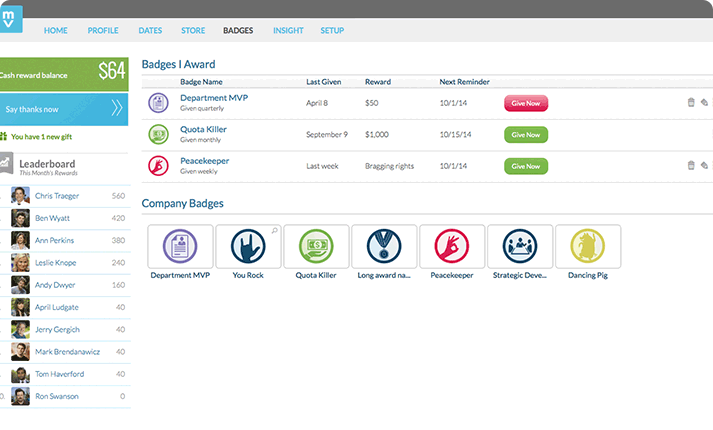 In addition, you can set it up to support teams and brand your recognition badges as well as your site. You’ll also get free setup support, data you can export to a third party and real-time analytics. 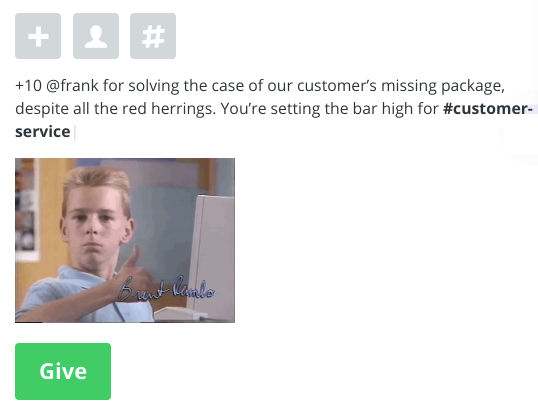 Businesses that use Slack will love the integration. It’s easy for users to adopt and for your business to begin seeing employee engagement increase. You can set up regular engagement questions to get a dialog started with your team or ask for feedback on how a project is going. Other tools, like Kudos, offer this feature but at twice the price. Similar to your customer relationship software, tapmyback provides your business with insights like an employee net promoter score, ENPS. It can also gauge your employees’ mood (even anonymously, if you prefer). That’s helpful when your company is implementing change, when you’re hearing rumblings within your workforce, or when you want to know how employees are feeling on a periodic basis, such as each quarter. 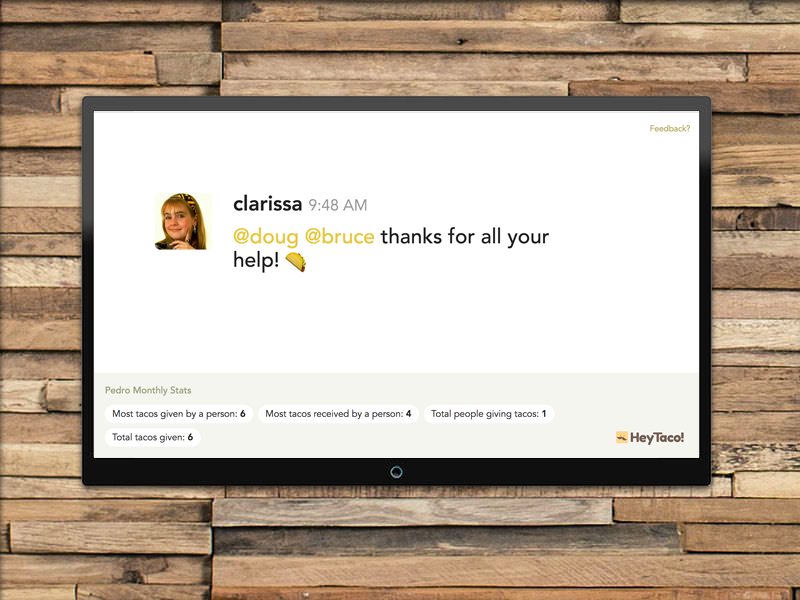 Employees get feedback from their peers, but they can also ask for help or feedback through tapmyback. It improves employee engagement as the feedback is bottom up, with no hierarchical layers. And if you operate in teams, you can set it up to improve team member praise specific to projects or initiatives. Feedback can be provided with custom badges, taps, 360-degree recognition and social media features called “re-taps,” which is a way for peers to agree with praise and feedback given. 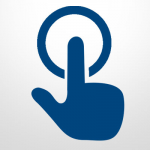 In fact, all the tools evaluated in this buyer’s guide have a Slack integration. If you haven’t added Slack (it’s free), you’re missing an important way for your employees to collaborate and communicate with each other. Tools like tapmyback merely add additional features to that. tapmyback provides customer support via live chat and email and promises a 48-hour response time. If you upgrade to an enterprise package, you can get a 24-hour response time. Not having a person to contact by phone may be an issue for some, but it’s pretty typical of all the tools we compared, except Kudos and Give a WOW. In general, apps like tapmyback are so intuitive that help is rarely needed and issues typically aren’t urgent. tapmyback doesn’t have built-in cash or gift rewards such as prepaid credit cards. Therefore, you will need to upload your data to third-party bonus programs using an API. In fact, the only built-in integration is Slack. It also lacks a phone number you can call if you have a quick question. tapmyback gets mostly five out of five stars on third-party review sites. It’s used by clients as large as McDonald’s and as sophisticated as universities. Employees especially enjoy instant feedback on their performance, while managers like the insights it provides. Some administrators comment they would prefer more analytics and a more intuitive interface. For an affordable employee recognition software that includes tools to survey employees as well as obtain 360-degree feedback, tapmyback is a great option. You can set it up quickly, integrate it with Slack and export data to your other business applications and rewards programs with API. We recommend Motivosity as best for businesses that want to provide monetary rewards. It provides peer-to-peer social recognition, praise and badges like tapmyback, but costs just a bit more. It adds a team organizational chart as well as more standard awards—like years of service. It also allows employees to recognize their peers with monetary rewards. Like tapmyback, you can track satisfaction trends and provide company-wide announcements. 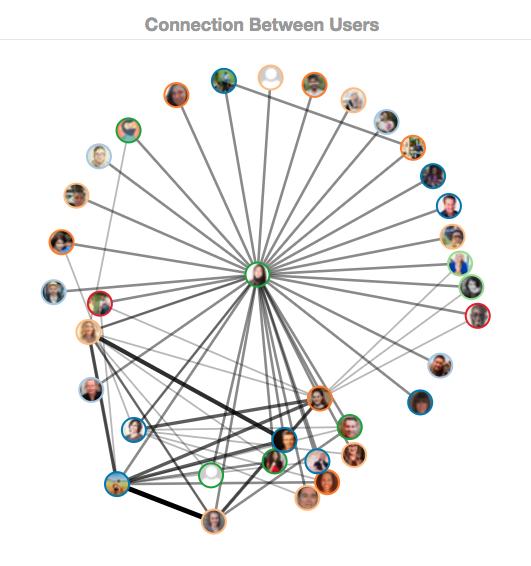 It also has features like personality profiles and interest groups that can help your team members get to know one another. Pricing with Motivosity starts at $3/employee per month and goes up from there depending on what features you add. Therefore, it’s going to be more expensive than tapmyback and some of the other tools like HeyTaco that integrate with Slack. To get accurate pricing, you need to sign up for a consultation, which is code for sales. Therefore, the pricing isn’t as transparent as tapmyback. They do offer a free trial with no credit card required though, so you can try before you buy. Motivosity provides peer praise and recognition, but does a lot more. It offers unique features to assist your management team in improving culture, such as milestone reminders, and benchmarks to see how your company compares with others. However, unlike tapmyback, it has no performance management features like 360-degree feedback. 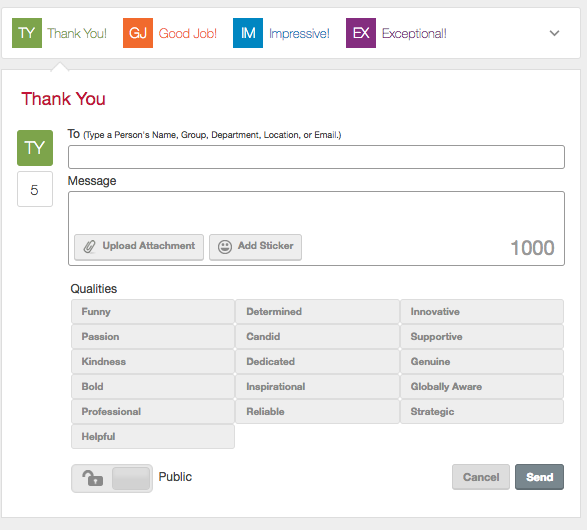 Like tapmyback, Motivosity allows employees to praise one another. They can also nominate peers for awards and provide badges. That praise can also be shared on Slack. In Motivosity, the praise and feedback feels a bit more forced than natural as compared to some of the other praise apps like tapmyback or HeyTaco. This tool is a bit more top-down in its structure. On the reward side, Motivosity provides more than just badges. You can set up digital gifts as well as schedule gifts for key events like new hire onboarding, birthdays and anniversaries. These need to be set up by an administrator. On the plus side, it puts the control for gift giving in your employees’ hands. On the minus side, it appears to create a more competitive environment than some businesses may desire. Plus, significant setup is required before you can administer it. Motivosity has options for single sign on (SSO) with numerous applications like G Suite, Salesforce and BambooHR. You can also set up gift cards with Tango Card to provide hundreds of gift card options to your employees. Motivosity customer support is available via email only. That’s the most common method for most of these apps, actually. Unlike tapmyback, Motivosity doesn’t track goals and doesn’t allow you to specify feeds by department. It also doesn’t have as much flexibility in employee surveys. And because the rewards go through a third-party vendor, some employees have trouble redeeming them. The user reviews are solid for Motivosity, and come mostly from HR administrators who like how it makes their job easier. Employees tend to like the gift aspect, like receiving Motobucks. The only complaint seen is on the customer support side, with support being email only and not super responsive. Due to the addition of a team organization chart and robust administrative features, Motivosity provides a solid tool. You can give managers and employees a budget they can use to recognize peers with cash instead of points, which democratizes your rewards program. 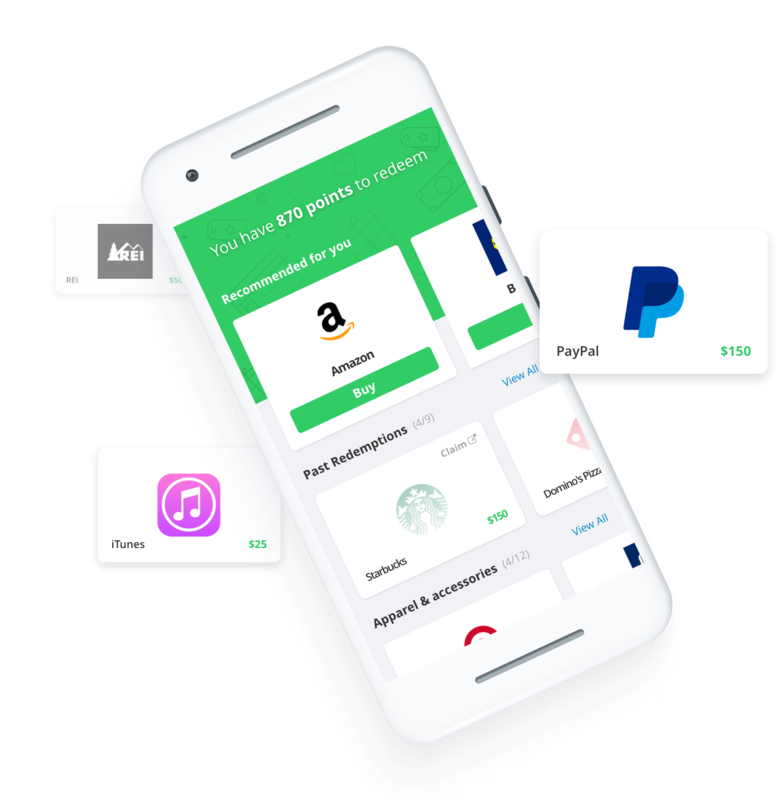 We recommend HeyTaco as the best rewards and recognition app if you’re a small business that wants to implement these kinds of tools on a limited budget. HeyTaco is a fun app and costs nothing. 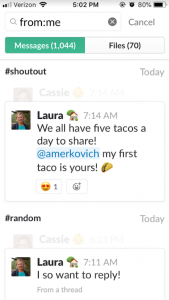 It integrates directly with Slack and instead of providing cash or points, team members provide each other with virtual tacos. And because praise is visible directly in Slack, there’s no need to teach employees to use another tool—HeyTaco shows up as an app right in the Slack user interface (UI). HeyTaco has also recently added TacoTV, which lets you display recognition right on a leaderboard in your office. Even with no cash rewards attached (you can add rewards if you like), your employees will appreciate real-time, visible recognition from their peers. HeyTaco is free for small teams and provides a 60-day trial for larger ones. That’s the longest trial version of all the apps we evaluated. After that, it starts at $1.95 per month per person, which is the lowest price of the options available. HeyTaco provides discounts for enterprises, nonprofits, teachers and students. Since you don’t need a credit card to sign up for the free trial, there’s no risk—other than your team may love it and won’t want you to take it away. What makes the pricing unique is that you’re only charged based on those users who use HeyTaco. So, let’s say only 40 of your 65 employees have been added to HeyTaco—that’s all you’ll pay for. That differs from all the other tools, which are priced based on your total employee population. Because HeyTaco integrates with Slack, you can invite it to channels and view features such as the leaderboard using @mentions (example: @heytaco leaderboard). That way, your employees don’t have to navigate to a praise app like Motivosity to see what’s up. All they have to do is @mention an employee or enter a simple command to bring praise into the workplace. Like Motivosity, HeyTaco provides a leaderboard. However, instead showing how much money has been earned, which may cause peer resentment, it shows which employees are receiving the most tacos. If you have no budget for rewards, this can work well to motivate employees to get more tacos by completing projects, demonstrating company values or earning peer praise. Tags are such an easy way to award points for values, goals, projects, customer feedback or any kind of praise-worthy event. They don’t require an administrator to set up and cascade goals from the top. They can be ad hoc, set up by peers, and added to any tacos given in recognition of accomplishments. The gift shop is where team members can redeem prizes set up by the administrator if you choose to offer them. In addition, the administrator, at the direction of management, can give truckloads of tacos at once with a Taco Bonus, making it easy to recognize top performers by adding tacos to their redeemable balance. Similar to tapmyback and Motivosity, the only way to get support with HeyTaco is via email sent from the website. However, in contrast to the administrative setup required to implement Motivosity, HeyTaco is simple. You and your employees can go to the How It Works page and figure most things out on your own. HeyTaco is a rewards and recognition app that works with Slack only. It also lacks any performance management features like tapmyback, or organization chart features like Motivosity. HeyTaco, like tapmyback and Motivosity, is rated five out of five stars on third-party review sites. But, unlike Motivosity, those reviews are coming from employees who love how easy it is to use, and that it rewards team members with tacos. The only negatives were that some employees wanted more than five tacos per day to give away! When you’re within the Slack app, you can browse apps and choose HeyTaco as an app. Once the app is added, you can invite it into any Slack channel. It will then offer to provide a short overview with instructions on how to use it for members of that Slack channel. You’re up and running in minutes. We recommend Bonusly for small business that want to recognize their employees with micro-bonuses. Its strength is streamlining bonus management for businesses that want both employee and team recognition without upcharges on gift cards and rewards. It’s priced about the same as Motivosity, but costs more than HeyTaco or tapmyback. Unlike HeyTaco, which provides an easy-to-use way of mentioning and praising employees within an app, Bonusly is a tool to use when you want that praise and recognition monetized. It’s also great when you have global teams, as it has language support like Give a WOW does. Bonusly is priced a bit higher than the prior three tools shown, running from $2.70 to $4.50/user per month if you sign up for annual billing. For that, you get the mobile app, 360-degree recognition, social integrations, and reports. It also includes an in-office display option like HeyTaco TV. Also, like HeyTaco, they provide discounts for nonprofit and educational organizations. 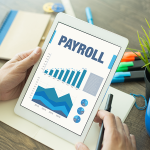 The only differences between the two plans in Bonusly are on the administrative side, where you can sync with HRIS systems like BambooHR, Zenefits and ADP, or set up standardized programs for birthdays and incentives for a little more money. Bonusly serves as a platform for employee recognition software, with peer recognition tied to company values. 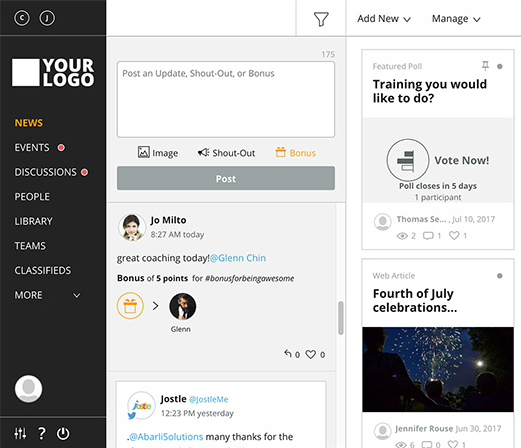 It lets employees give thanks with GIFs, comments, pictures, hashtags and emojis. Further, it, like all the others we’ve featured thus far, has a Slack integration. What Bonusly adds is the ability to use an extensive rewards catalog (Amazon, Starbucks, Apple), as well as provide a custom reward option that can track order fulfillment and inventory of your own company swag—like branded T-shirts and coffee mugs. Like Motivosity, Bonusly is set up to provide rewards that are redeemable for things like gift cards. Employees or managers can be given an allowance to distribute on a monthly basis to their peers as part of the recognition program. That requires you to set aside a monthly bonus amount and train managers on how to administer it fairly. You can set Bonusly up with shortcuts so that managers can view team reports and make team recognition easy—and bonuses can be provided to an entire team at once. Managers can set up achievements for their team and recognize the group once it’s accomplished. Like Motivosity, Bonusly has a good number of integration partners. 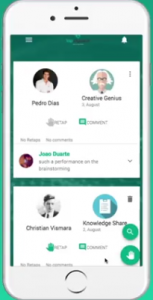 They include collaboration software like Google Hangouts, SSO, HR software, and custom tools that can be added with API or the Bonusly Widget. Bonusly offers customer support exactly like all the other employee recognition software tools we’ve reviewed—an email through their website. They also have a blog and a support section, but both are more like a collection of short-read articles rather than how-to or step-by step instructions. Unlike tapmyback, Bonusly lacks goal setting and some of the ongoing performance management tools and it feels a wee bit “corporate.” Plus, it requires your employees to use yet another tool and money seems to be the focus (similar to Motivosity), rather than peer recognition. Therefore, it may not drive the culture as much as apps like HeyTaco that support teamwork through the praise rather than a prize. Like the other employee recognition apps reviewed, Bonusly received five out of five-star ratings on third-party review sites with administrators finding it streamlined their work. If anything were negative, it would be that adoption isn’t super easy with Bonusly due to it being a separate tool with forms. Bonusly is great for businesses that already plan to provide cash and gift rewards to employees. It makes it easy for managers and employees to administer rewards based on work-based criteria. In fact, you can get out of the business of maintaining inventory and shipping gifts altogether by letting the software do it for you. 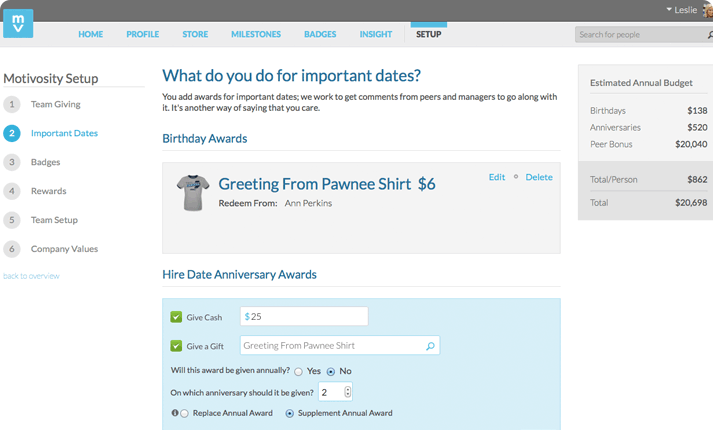 Kudos has the basic employee recognition and rewards features that small businesses would need. In addition, it adds the survey and polls features of tapmyback, as well as the people directory features of Motivosity. 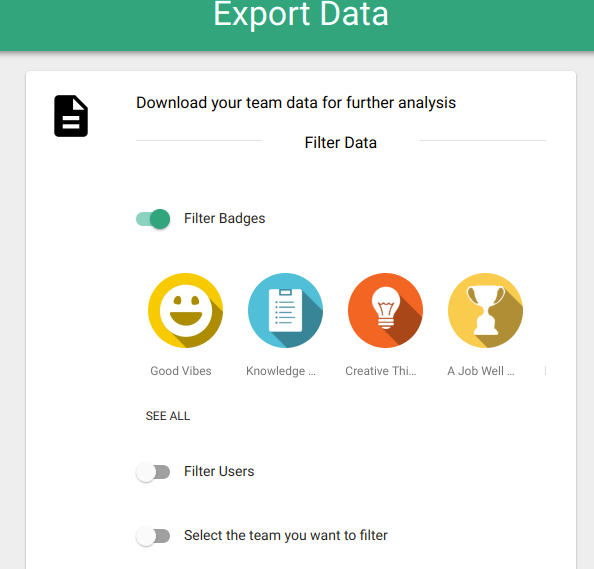 It’s best for businesses that want a peer praise app that contains add-on features like newsletters, and photo galleries to improve how employees feel about the company. And it costs just a few dollars per person more than the other tools we reviewed. In that sense, it’s like a total employee engagement app, providing more than just recognition and feedback. Kudos also integrates with business tools for HR, and also with Slack (like the others), Gmail, SharePoint, LinkedIn and SSO. It has a browser add-on for Google Chrome, Firefox and Internet Explorer, making it easier to implement and use than other tools that require separate logins. Kudos offers three pricing tiers, with discounted rates for educational institutions. However, those prices aren’t posted. Like Motivosity, you’ll have to submit to a sales call and demo before they’ll share the price. Third-party sites suggest the pricing ranges from $3 to $5/employee per month, putting it at about the same price point as Bonusly but higher than the others that offer peer feedback for only $2 to $3/employee per month. When you sign up for a demo, they’ll offer you a free trial. Like all of the apps reviewed in this article, Kudos provides an option for recognition, mobile apps for iOS and Android, and a people directory like Motivosity. Further, it allows video recognition, which lets you post a video on the praise wall. Its reports are what stand out, as well as some of the employee engagement features like a newsletter and photos. In addition to announcements, status messages and surveys, which are offered within many of the other tools, Kudos adds newsletters and an events calendar to keep team members up to date in a more formal way than, say, posting an event on Slack. A photo gallery is a cool way to show team members what their peers are up to. It can include pictures with key clients, offsite events or any praise-worthy image you want to share. In addition, you can have custom pages. For example, you may want one page for your remote team, or another for your field service workers. Some businesses want to know, by the numbers, what employee engagement looks like in their firm. This is more common in larger firms or business with a distributed workforce. The Kudos Plus plan provides dashboards, but when you upgrade to the Enterprise plan, you can get deeper analytics and benchmarking to see how your teams, locations or your business compares with other companies. In addition, reporting data can be filtered by users, groups, teams, departments, locations and time periods. That data can then be downloaded into a CSV file format for further analysis. Kudos is the only app thus far to provide a customer support phone number on its website, which is in addition to FAQs and support guides for users and administrators. However, the email web form is a bit unwieldy and they don’t have a chat bot. Still, having access to a real human? That’s worth some kudos. Kudos, like Bonusly, feels structured. In fact, peer recognition isn’t included in the Basic program so you have to upgrade to get it—it’s top-down instead. It also lacks more formal goal setting and reviews like tapmyback offers. Kudos has big clients like RingCentral, Shell and Kronos, as well as many nonprofits like The Y. Kudos earns mostly five out of five stars on third-party review sites and like Bonusly and Motivosity, many of those reviews are from administrators, not employees. What they like is that Kudos simplified a mostly manual process of praise and recognition for employees. 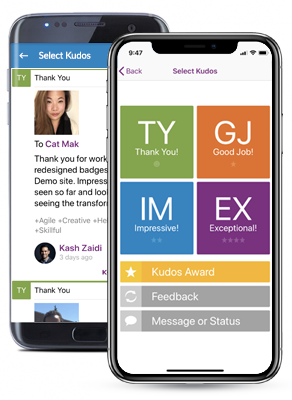 Kudos is an excellent tool for larger organizations that want to look at employee engagement feedback and trends. It may not be employees’ top pick as a tool, but administrators like the all-in-one features that let them monitor recognition and set up rewards within one application. We recommend Give a Wow as best for larger firms. Give a Wow is just one tool within a larger suite of employee engagement programs. It’s focused on peer-to-peer recognition and offers its software in multiple languages, making it perfect for larger companies or for small businesses with a global or culturally-diverse workforce. It’s peer feedback tools are priced in on par with tools like tapmyback. The social media style peer recognition program can be set up in under five minutes. Like many of the tools featured above, it has no setup charges. You can customize it to your core values, provide real-time recognition, and identify your rising stars. They also offer a tool called Give a WOW PRO that’s priced based on a custom proposal and includes rewards as well as banners, buttons and branding. The PRO plan also has advanced permissions, workflows, directories by team, department and location and advanced reporting. If you want your Give a WOW translated into up to 70 different languages, that’s in the PRO package as well. Give a WOW is an entry-level recognition tool that allows you to add on more advanced features when you’re ready—like safety rewards and wellness programs. The parent company, Terryberry Recognized, offers service awards, incentive programs, 360-recognition and more. Employees can also sync Give a WOW with Facebook and Twitter, in addition to Slack. Give a WOW also provides helpful, short video tutorials for both administrators and employees, saving you training time and improving team adoption. 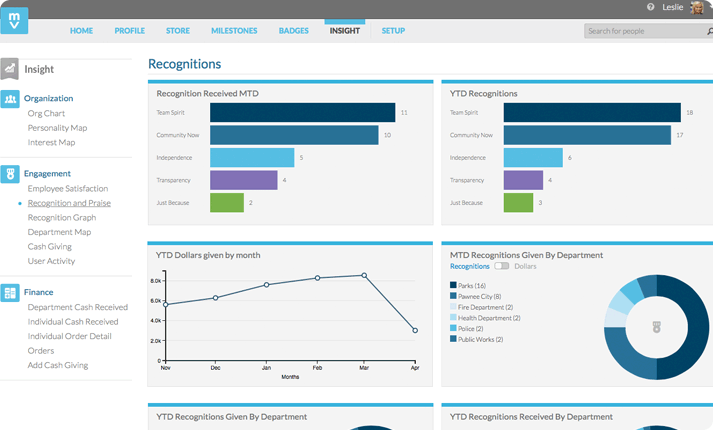 Employees can see all recognition on a recognition wall or just view their own. They can also add their photos, follow peers and give feedback. You, as the business owner/administrator, can set the categories and rewards. Employees can attach photos to praise they give, then other employees can comment and applaud. It all feels very much like Facebook. Employees can recognize groups or individuals and nominate individuals for rewards (the award levels are set by the administrator). The team member will get an email with a certificate, or you can print the certificate and sign in before giving it to the employee. The administrator can also approve award levels from their dashboard, using guidelines that have been set up in advance. Administrators have a dashboard that includes approvals, a summary of engagement, and visual reports. When an employee is nominated, you can see that employee’s history and how many other nominations and certificates they’ve received. You can also look at the personal comments within the nomination and fix any grammar or spelling issues before the certificate is posted. 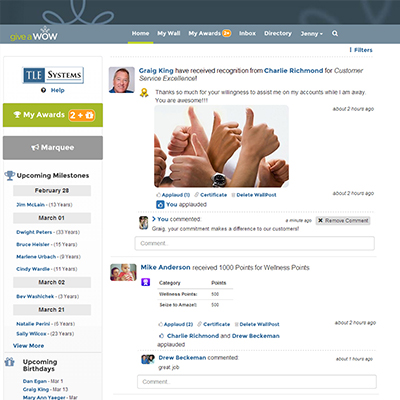 Like Motivosity, Give a WOW has an employee directory. 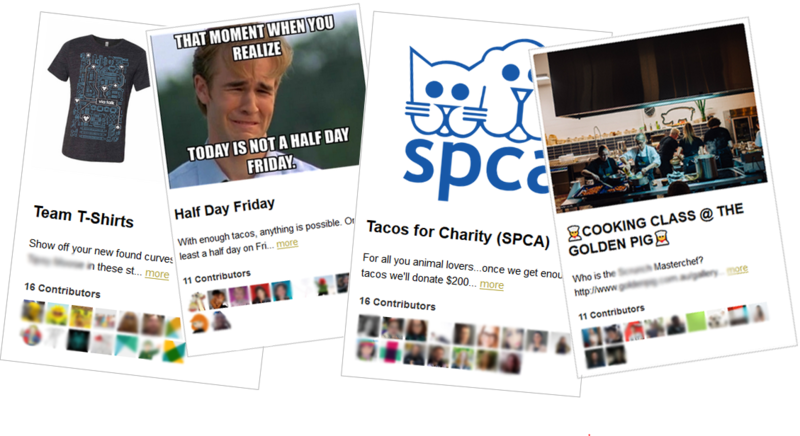 Your employees can “follow” the teams or employees they work with the most in order to make giving them a WOW easy. 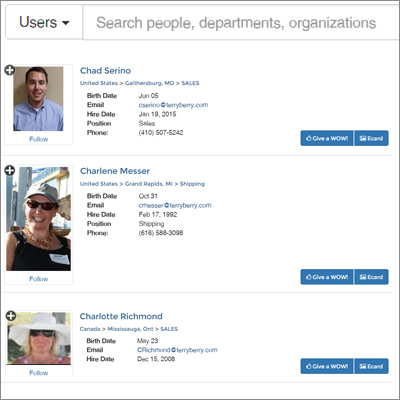 They can also use the search feature to find an employee if they want to Give a WOW to someone outside their immediate network. While Give a WOW doesn’t include an organization chart like Motivosity, its directory includes details like contact information, department, birth dates and photos. Give a WOW, like Kudos, provides a customer support team that can be reached by phone or email. That makes it helpful when you, as the administrator, have an issue, such as adding an employee or setting up a recognition program. Many of the other apps provide an online request form only. And some, like tapmyback, may not respond for up to 48 hours! Give a WOW’s package doesn’t include the gifts and awards like Bonusly and Motivosity. However, you can add reward products at an additional cost, including top brands like Le Creuset, Nikon, Bose, Sony, Vera Bradley and Oakley. It also lacks standard performance management feedback tools like 360- and self-reviews that are included with tapmyback. Finding reviews is a little tricky, as they’re based on the parent company Terryberry, which gets four to five out of five stars consistently on third-party websites. However, the Give a WOW app itself has few reviews, and they’re not great. If you need a praise app that can cross language barriers, Give a WOW is a solid option. It’s also priced affordably for small business, even if you don’t require multiple languages. And when you’re ready to add 360-degree feedback and prizes, it’s a simple upgrade. Slack Free online collaboration software peers can use to recognize each other through social sharing. iAppreciate Free recognition website for managers to send praise and thank you cards to employees. 15Five A bit more expensive tool for providing ongoing feedback as part of performance management. Namely Praise app built into HR software you may already be using. Snapii Excellent way to recognize employees with surprise gifts they can choose themselves, but pricey. Monday CRM and project system that allows employees to provide feedback on shared initiatives. Engagedly Full performance management suite that includes peer recognition, social sharing, and gamification. Xexec Praise and recognition app that can manage client rewards, employee benefits, and discounts. Bucketlist Employees to earn points that they can redeem for prizes or create their own reward. Homebase Free time and attendance software that allows you to provide real-time praise and feedback to team members. HR research shows that employees crave feedback and appreciate peer recognition. Reward and recognition apps are a great tool to support business culture, and help employees remain connected to the goals and values of the organization. We find tapmyback to be an affordable tool that puts recognition in the hands of all employees. When you’re ready to graduate to full-blown online collaboration tools that allow employees to contribute to projects and team processes, consider an upgrade to Monday. Monday provides a project management and CRM tool that’s fully configurable and lets customers weigh in as well. It’s just $5/employee per month.